The desire to achieve success unites anyone, correspondingly we always dwell on self-improvement and most part of our life we spent on trying to accomplish something valuable. We can clearly say that for career development, it’s vital to improve emotional aspect of intellect that’s why the University of Georgia will host a public lecture on- “Emotional Intellect and Emotion Management”. 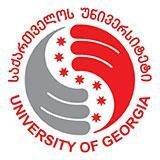 On 7th of December, the School of Science of the University of Georgia will host a public lecture on- “Emotional Intellect and Emotion Management” at Adjara Regional Office, located in Batumi.